If you're anything like me, you've at some point dreamed of wearing a dress you'd seen on Beyoncé or a cosy jumper you've seen Kendall Jenner rock. Well that dream can now become a reality thanks to eBay launching it's first ever "Fall Stylist Sale" which gives fans the opportunity to bid on items that formerly belonged to celebrities, Vogue reports. 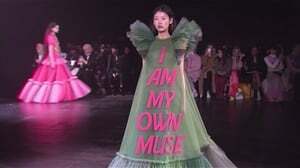 The sale is being overseen by five celeb stylists, which involves a team of the very best celebrity stylists including Marni Senofonte (whose has dressed Lauryn Hill, Beyoncé, and Kendall Jenner); Karla Welch (best known perhaps for styling Justin Bieber and Lorde); Ilaria Urbinati (who styles leading men like Donald Glover and Rami Malek). This means items similar to those owned by such celebs are all included in the sale. There are 50 designer items up for grabs. Think Gucci, Balmain and Valentino. Fans can get their hands on everything from jewellery to bags to stunning shoes, and even some custom and one-of-a-kind outfits. A few of the looks may even be familiar, considering they were worn on red carpets and to other big events. 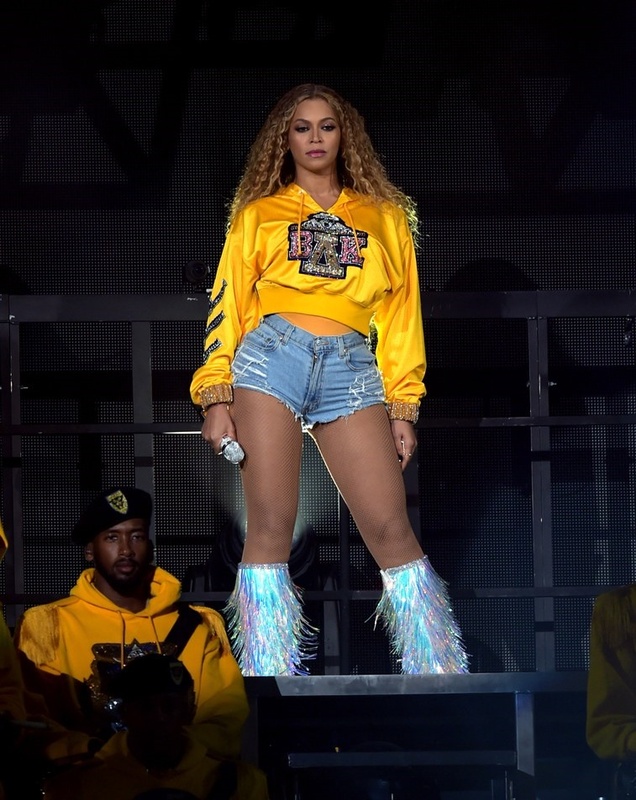 The lookalike to the now iconic yellow sweatshirt Beyoncé donned for this year's Beychella (Coachella, whatever) concert, a bodysuit worn in a Gwen Stefani music video, and a Tom Ford suit that actually was once worn by Bradley Cooper. Another amazing outfit for sale is the sheer Bao Tranchi minidress J.Lo wore to her joint birthday party with Alex Rodriguez last year. We think it means even more if you've just won the stunning yellow Michael Costello jumpsuit worn by Lopez at the 2015 AMAs, or a pair of Justin Bieber’s quilted leather Balmain skate shoes, or one of Kendall Jenner's Adidas sweatsuits from her collab with Daniel Cathari. “We tried to pull out pieces that had a really good moment whether it be on stage or on the cover of a magazine,” Mariel explained. In addition to offering clothing that is sure to make you feel like a star, the sale is also a part of the eBay for Charity initiative, which means proceeds will go to the causes of stylists' choice, including the ACLU and the Trevor Project. While prices have started at a surprisingly affordable 99 cents, it should not come as a surprise that dressing like Kendall will end up costing quite a fortune. The sale which has started already, runs from September 25 to October 5, which gives bidders plenty of time to continually increase the price. Considering that the market price of most of the items is well into the thousands, though, it will be interesting to see how things turn out.